Heavy rain drenched a drought-ravaged swathe of southern and eastern China, killing 52 persons and forcing more than 100,000 to evacuate. The floods inundated vast areas in 12 provinces in central and southern China over the past week, affecting 40.8 lakh people, Shu Qingpeng, deputy head of the Office of State Flood Control and Drought Relief Headquarters, told the media today. The 12-member jury of a federal court here today began deliberations against Tahawwur Rana, charged with involvement in the Mumbai terror attacks, planning of a similar strike in Denmark and providing material support to Pakistan-based terror group Lashkar-e-Toiba. A rare 1919 hate-filled letter signed by Adolf Hitler was unveiled by the Simon Wiesenthal Center here yesterday. The letter shows Hitler's hatred for Jews even when he was just an ordinary soldier who would lead Germany to disaster two decades later. Britain’s immigration sleuths have arrested 40 Indian citizens who were working illegally in Leicester in the UK, and have started the process of deporting them to India, official sources here said. The UK Border Agency led a raid on 12 textile businesses yesterday. The deaths have been concentrated in the poor southern province of Guizhou, where tens of thousands have left their homes to escape the rising waters over the past few days, the official Xinhua news agency said. Another 32 persons were missing, the report added, suggesting the death toll could rise. 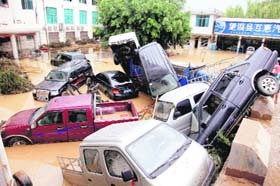 Almost 8,000 houses have been destroyed by the floods and thousands of hectares (acres) of farmland inundated, it said. The other deaths have been reported in the eastern seaboard province of Jiangsu, Xinhua added, though other parts of that province remain parched. Guizhou will be hit by more rain over the coming few days, and the government has already sent a relief team to the hardest hit areas, it said. 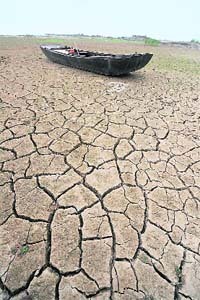 The drought has damaged crops and exacerbated a power shortage by cutting power generation from dams, adding a slight bump to near three-year high consumer inflation. Comprising of representation from various sections of the society in Chicago, the jury began its deliberations at 9-30 am local time under closed door settings. Attorneys from both the US government and those of 50-year-old Rana were present at the court to respond to any questions that the jury members might have about the case. The jury were also provided with copies of the audio and video tapes along with transcripts, besides a set of all the exhibits including the large number of email exchanges of Rana, David Coleman Headley and many others related to the case, which were shown as evidences by the defense and federal attorneys during the trial that lasted more than two weeks. Officials were tightlipped as to when the jury would be able to give its verdict against Rana, who has been charged on three counts. The attorney yesterday completed their closing arguments, during which both the defense and federal prosecutors walked through final time their point of view. 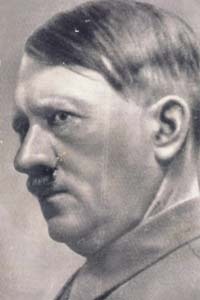 Hitler, who was 30 then, wrote the four-page letter at the end of World War I when he was serving as a soldier in Munich Bavarian army. “To begin with, Judaism is definitely a racial and not a religious group. The result of which is that a non-German race lives among us with its own feelings, thoughts and aspirations, while having all the same rights as we do,” wrote Hitler. More than 70 immigration officers entered the premises and checked the immigration status of about 80 workers. A total of 33 men and women, including 28 Indian nationals, were found to have no right to be in the UK.